The classic of VHF marine communication is now available in the new Blue Line colouring, specifically designed for the aesthetics of the most modern boats. 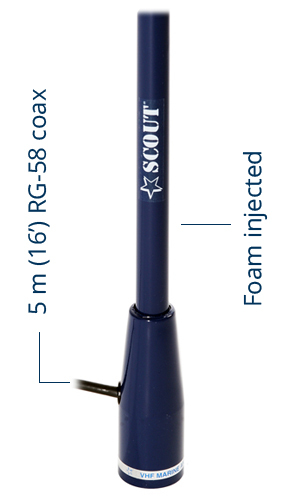 The KS-22 Blue Line is built with a 1,4 mm thick fiberglass whip that gets fully foam injected with the special Scout 100% waterproof technique. 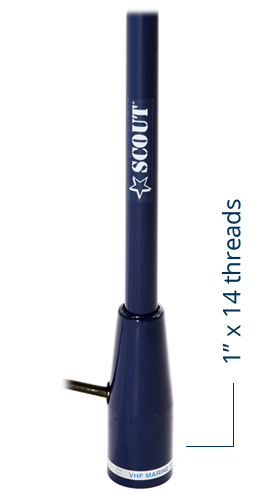 The antenna is supplied with 5m RG-58 MIL cable and 1 PL-259 connector to complete the installation on board.